Where to lodge your insurance related grievances?,Where to lodge your grievances? Where to lodge your insurance related grievances? IRDA, which is the new addition. 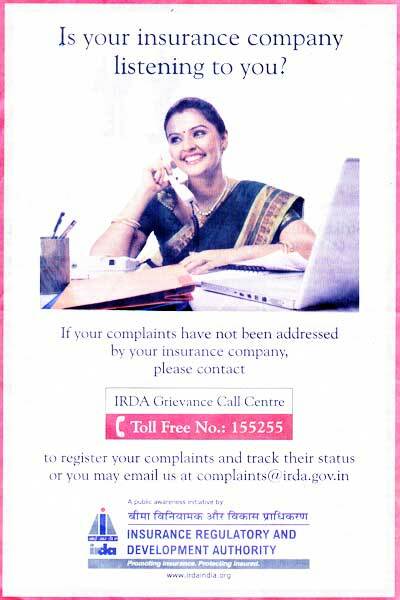 We welcome the service started by IRDA. But the question before us is why we should have too many authorities for grievance resolutions. Is it not the responsibility of the Insurance Company to provide service as a part of the product? Why they do not show the name of Grievance Officer, phone no/email on their website. Why they do not have online grievance lodging facility? The consumers will like to have the data- how many cases lodged against the company in Consumer Forums? How many have been decided? How many have gone in favour of the insurance company and how many have gone against them? Should there be a fee for lodging a complaint so that incomplete complaints are neither lodged nor received.